One can learn a lot from a seven-foot fuzzy bear. The Minnesota Twins’ mascot, TC, recently made an appearance at an event hosted by his teammate, Brian Dozier. 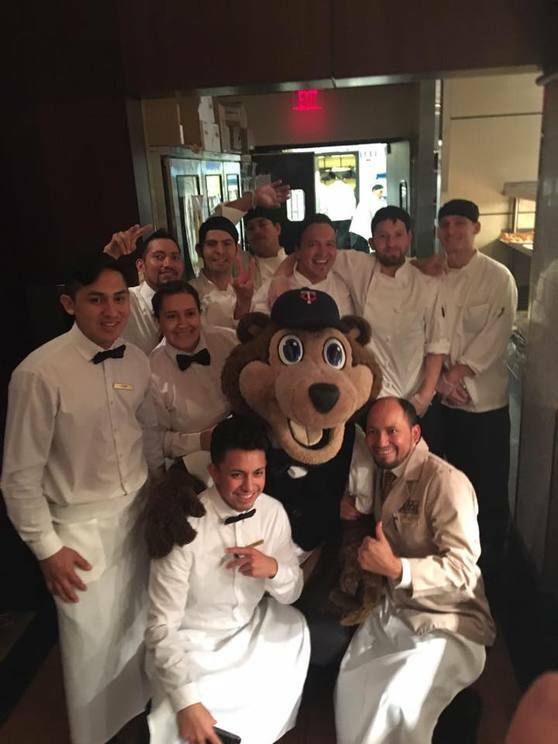 This was a high-end, exclusive event and the Twins players came fresh from a win at Target Field to act as celebrity waiters. People spent significant money to attend, to have fun, to joke with the players, and because of the exclusive access, to get autographs on their caps, baseballs, jerseys—you name it! TC, our lovable mascot provided many photo opportunities. I watched him as he mingled with the crowd of 150+, taking pictures and high-fiving them once they did. I watched him navigate the Silent Auction area as he mingled with guests who were all smiles for his effort. Stepping into the dining area to check on some event details I noticed TC making his way through the dining room and back to the kitchen. No one was leading him or directing him. TC just made good on meeting all those who were connected to the event—seen and, for the most part, unseen. If they had a part in the night’s success, then they were important to him. The kitchen staff was grateful for this gesture of fun and inclusion. Later I shared with the Twins Community Relations Manager how impressed I was. He looked at me and said, “Kurt, everybody is a Twins fan. We treat them all the same.” What an important reminder for all of us to treat everyone at our events--guests and workers--with the same level of respect and dignity. Shouldn’t everyone share in the night's successes—and surprises? Wonderful! Thanks for reminding us all that we're all in this together. High fives for TC, the Twins organization and you. Kurt, a good lesson and reminder of TC's actions to, "treat (everyone) all the same." Hats off to the Minnesota Twins for partnering with Benefit Auction Institute in this worthy fundraiser event, to benefit youth in the Twin Cities.